This property is As Good As It Gets! This charming one-level cabin is the perfect getaway for those looking for a cabin without stairs. It is also located just minutes from Downtown Blue Ridge, with an all paved roads and parking (covered parking! ), completely fenced in yard (great for pets and kids) and gated deck, as well as a 1 car garage (this is a rare amenity for a rental cabin) that is available for guests' use. The all paved access road is gentle enough for motorcycles as well! 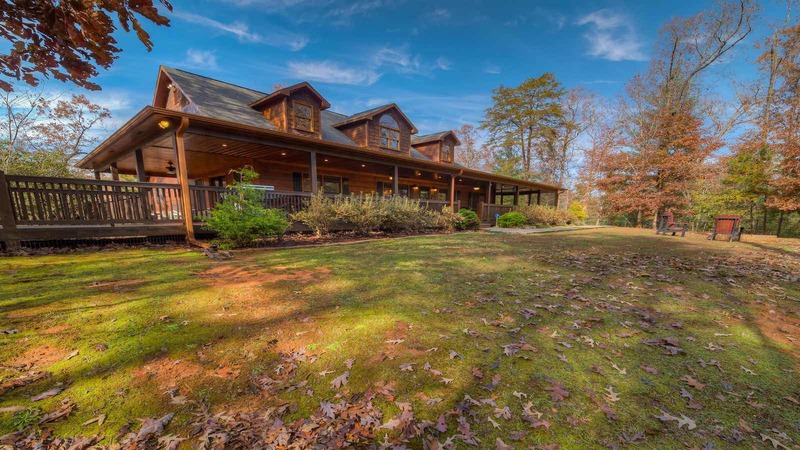 Upon arrival to As Good As It Gets, you'll find that the cabin is located in community, but feels very private. You will be greeted by lovely landcaping around the fenced in yard. The cabin also had a wrap around porch with plenty of seating and outdoor dining table that seats six, this part is also gated. One entire side of this massive porch is screened in with the hot tub and a nice cushioned outdoor seating set. You'll enter the cabin into the kitchen and dining room, which has a lovely island seating for four, plus a desk area and the dining table for six guests. The kitchen and dining area open up into the large living room with vaulted ceilings and a cozy gas log fireplace, large flat panel TV, and recliner sofa seating. Down the hall, you'll find the master suite with a King size bed and TV, plus the master bathroom which boasts a double vanity sink, all glass tile shower, and garden tub surrounded by stacked stone and a huge walk-in closet. The other side of the all one-level split floor plan is where you will find the other two bedrooms. Each bedroom will have a Queen Size bed and TV and share the jack and jill bathroom. This bathroom has a standard tub/shower combo with sliding door plus a double vanity sink. There is also a 1/2 guest bath off the hallway in the living room. Ready to enjoy the outdoor living space? Step onto the gated in deck, perfect for keeping in your furbabies.. or keeping them in the fenced in yard while you enjoy dinner at the outdoor dining table! This outdoor dining table seats six guests for candlelit dinners while overlooking the firepit as it dances with flames. The deck also has lots of extra seating for enjoying a morning cup of coffee or catching up on reading. The screened in portion of the deck has seating also and the bubbling hot tub for relaxing after a day of apple picking or shopping in Downtown Blue Ridge. 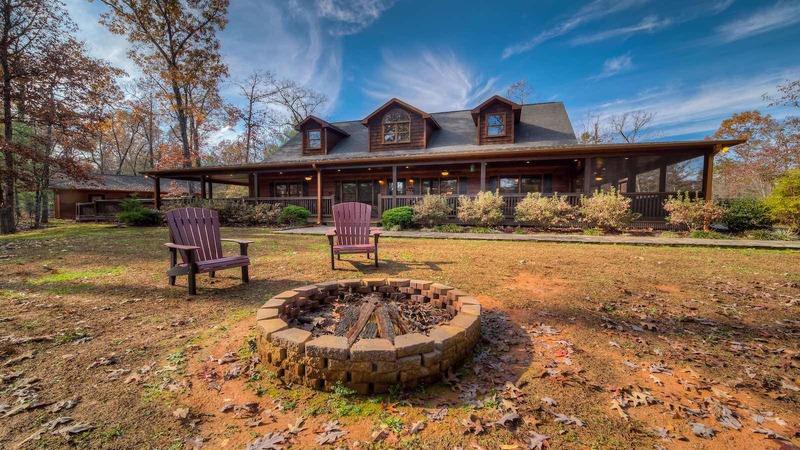 The fenced in yard has a stone fire pit that is perfect for stargazing, roasting marshmellows, and making memories fireside. This cabin's garage is available for guests use plus you'll have the convenience of covered parking right up next to the front door. 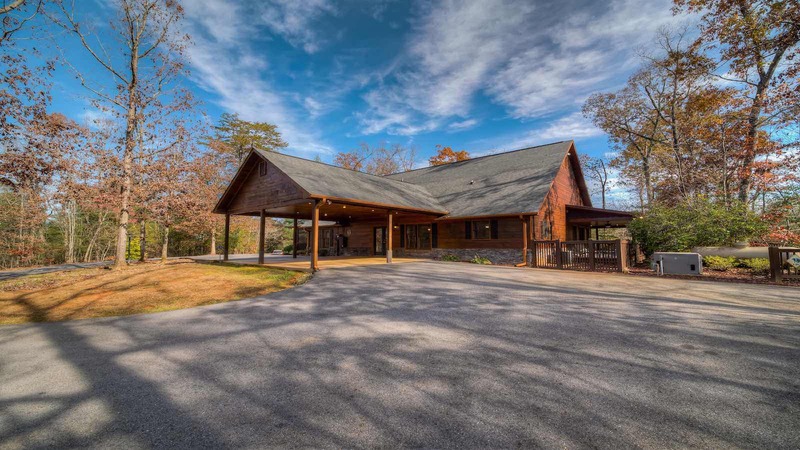 This property is perfect for those wishing to visit Blue Ridge with all paved roads to an easily accessible pet friendly cabin with all the space and hot tub that is so hard to find. 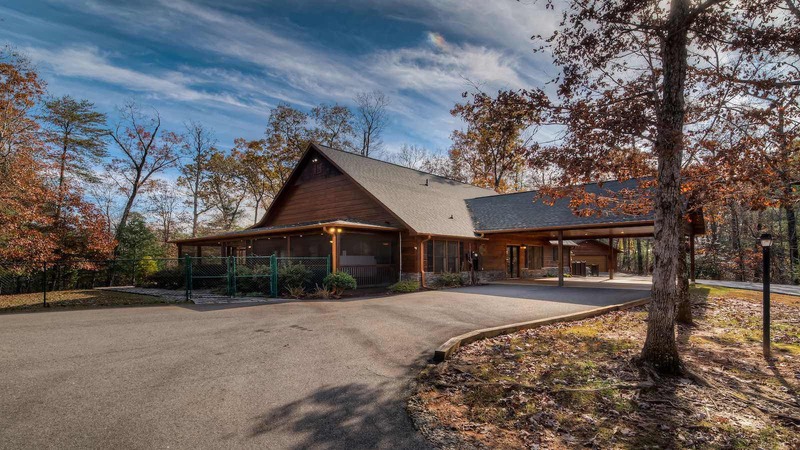 Convenience, pet friendly, spacious one level living, and many more amenities.... this cabin really is As Good As It Gets!